Welcome to Fort William Golf Club where visitors are always welcome. Green fees are reduced until the end of March, so why not come along and play golf in Scotland’s mountain splendour. 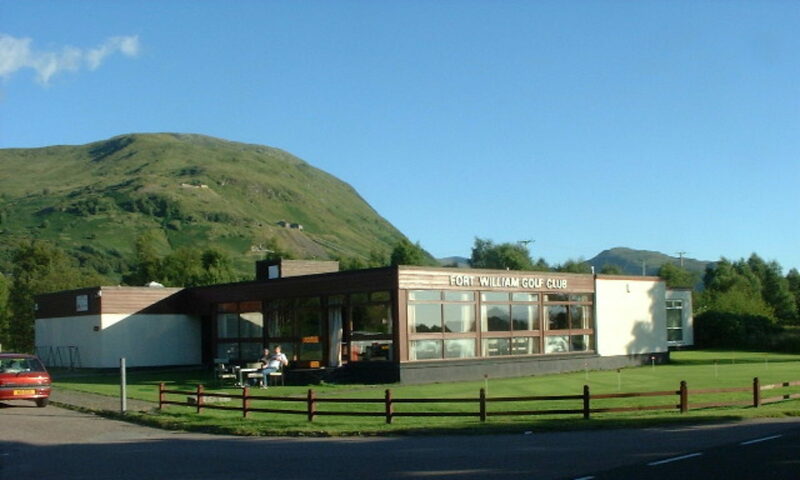 Fort William Golf Club, established in 1976, is an 18 hole course nestled between the mountains and the sea on the north side of Fort William and at the base of Ben Nevis (Britain’s highest mountain). The Course measures 6217 yards off the white tees, 5464 yards off the yellow tees and 4850 yards off the Ladies tees. Come along and experience golf in breath taking mountain scenery. Our course offers challenges for all levels of player, why not test your skills at one of our “Opens”? To avoid disappointment, please pre-book your tee time, thanks. Club and trolley hire are available, and we have a modest selection of golfing necessities (tees, balls, gloves, etc.) for sale from the Bar. All are welcome and our books are currently open for membership, contact us for further details or download a membership application here. Although we adopt a relaxed dress code, neat and tidy attire must be worn both on the course and in the clubhouse. No football colours are permitted, and no jeans when playing in a competition. Cleats and metal spikes are allowed. Our local rules are posted on the Club noticeboard. Please observe the rules and etiquette of golf at all times, play well and enjoy the scenery. Please replace your divots and repair your pitch marks. The Golf Club provides an ideal venue for party’s, meetings and many other functions. Contact James in the club house for more details.